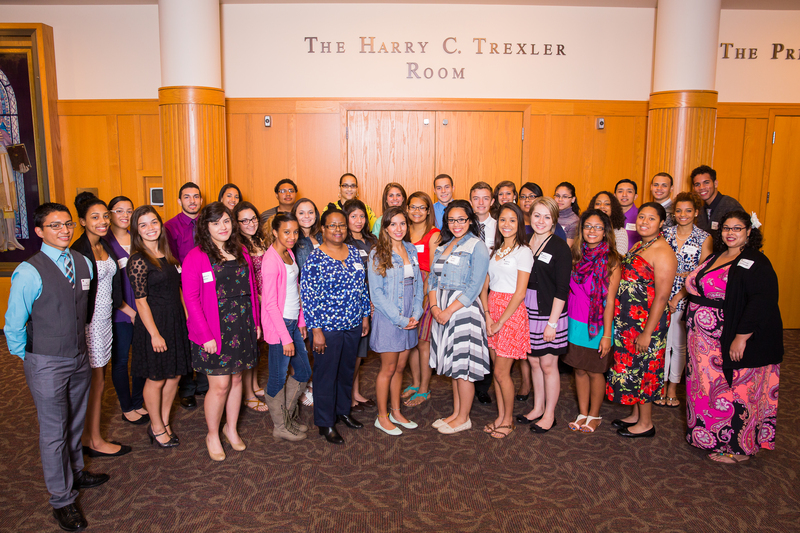 To strengthen the Latino community through leadership development, education, health and cultural activities/events. 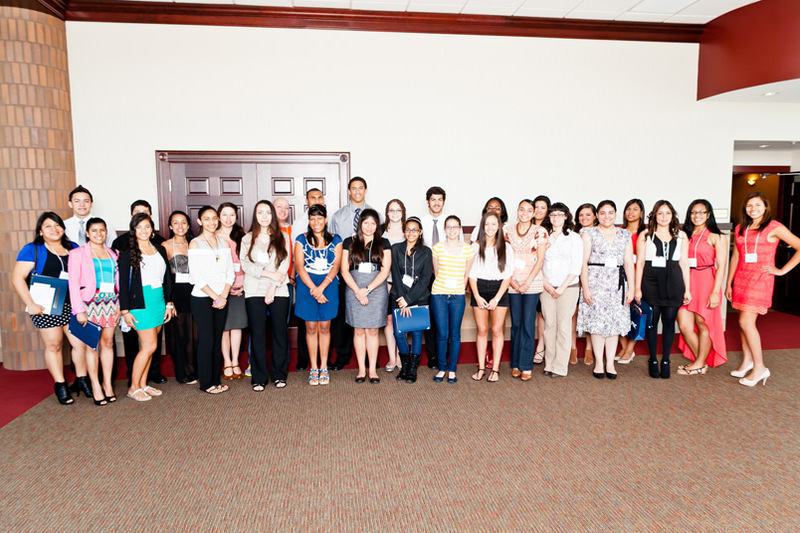 The Latino Leadership Alliance provides a public forum for discussion and dissemination of information. 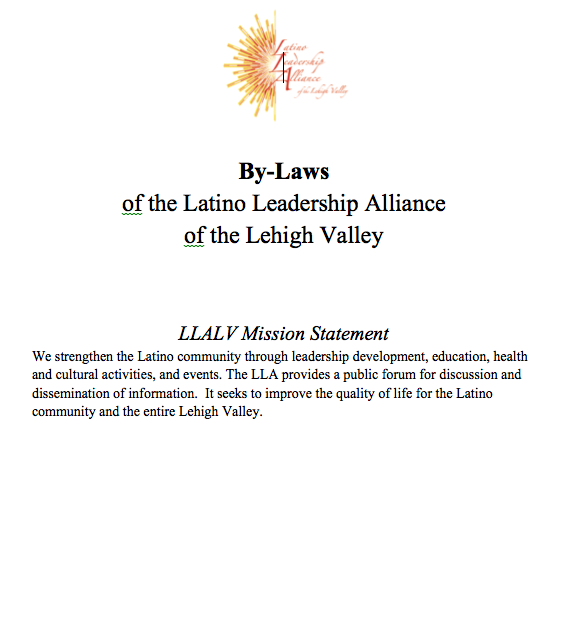 It seeks to improve the quality of life for the Latino community and the entire Lehigh Valley. 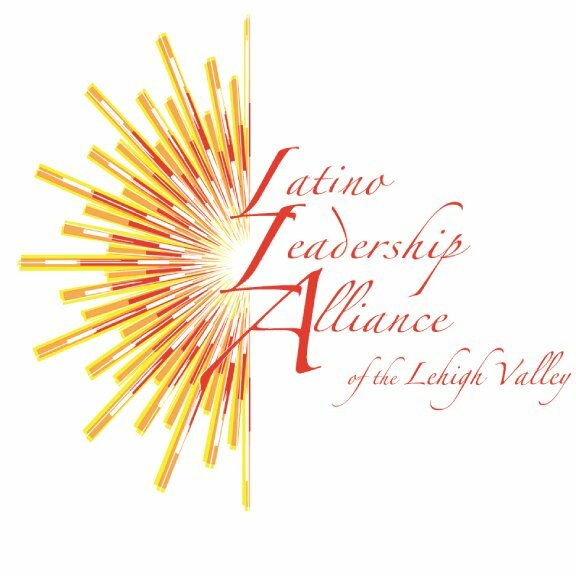 The vision of the Latino Leadership Alliance of the Lehigh Valley is to be the organization that will create a united voice in the Latino Community of the Lehigh Valley with one mission, several callings, and many alliances. 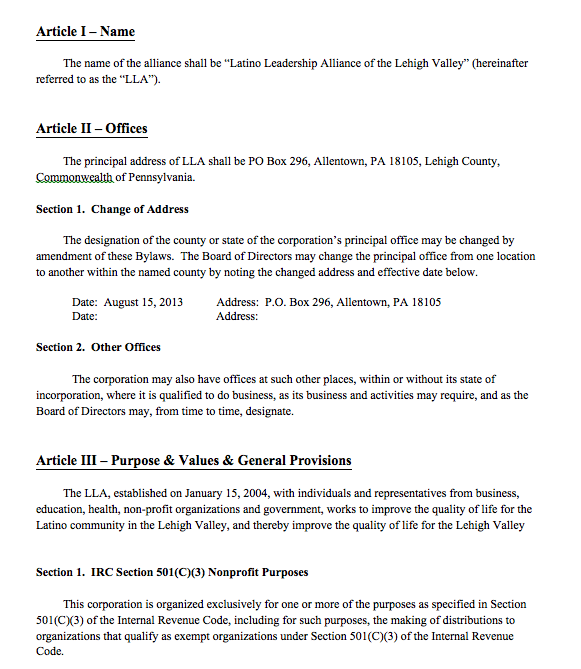 Please Note-LLALV is honored to be asked for support by worthwhile causes throughout the Lehigh Valley community. However, LLALV cannot make charitable financial contributions to other organizations. To do so would violate out current IRS 501(c)3,(a)2 status.